God of War 3: Can Kratos shine on the PS3? Unless you have been living under a rock for the past four years you will know that the God of War franchise is one of the best and most popular ones to date. God of War 1 and 2 came out in 2005 and 2007, respectively and still hold up today. However in March the gaming world will find out the end to Kratos’ trilogy and see what happens in God of War 3. The demo is available (or will be) for those who have either: a) bought the God of War Collection, b) pre-ordered the standard or Ultimate Edition of God of War 3, or 3) buy District 9 on Blu-Ray when it comes out December 29. 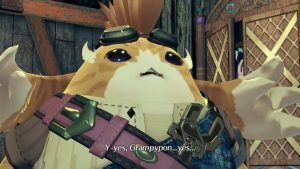 I have played the demo and am here to give some initial impressions. So in case anyone was wondering, this is definitely still a God of War game. 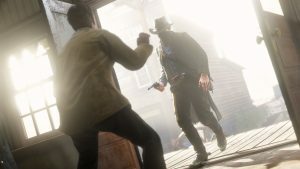 Three different lead game designers over the course of the series have not affected the gameplay very much and that is a good thing. God of War has always been about simple, flashy combat with some depth to those interested. The first thing anyone will notice while playing the demo is the graphics. They are phenomenal. Along with the amazing visuals another major aspect of God of War has returned and that is T.C. Carson who is the iconic voice of Kratos. At the beginning of the demo you start off on a cliffside fighting the normal grunt enemies the same as usual. You eventually get to the cyclopses of old ripping out their eyes until you fight a chimera. Here you chop off the different parts of the chimera eventually leading up to you breaking off its own horn and stabbing it in the head with it. You then proceed to shoot Helios (who has been flying around) with a giant cross bow only to be caught by the massive titan in the background and thrown against a mountain. When you eventually make your way over to where Helios is another battle ensues. After the battle is over you find Helios injured severely and walk over to him. Then if the stabbing the head with the horn didn’t give you enough of a Kratos vibe then this will. 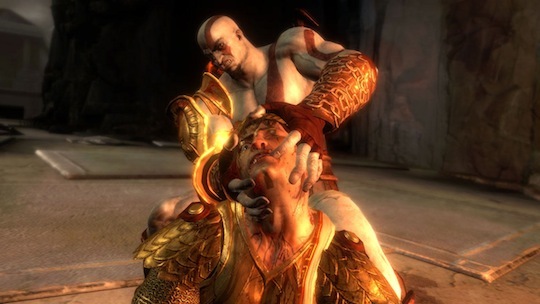 Kratos grabs his head and you have to press the L2 and R2 buttons rapidly until you eventually rip his head off. Congratulations you just killed the God of the Sun. After you rip off his head his eyes and mouth open only to have blinding light come out of each. You use this ability in the next area to light the way. I'll be needing this for awhile. When you get to the end of the dark section you hop into an air vent and spread the Wings of Icarus upward and dodge falling objects. After emerging from the vent he falls from above towards the titan and right when Kratos is about to attack the demo ends. Let’s just say if you have liked any of the God of War games, you will enjoy this one. With improved graphics, solid gameplay and the ending to this story arc, God of War 3 is a game that every PS3 owner will need come March. From what we have played we are glad to conclude that Kratos will indeed shine on the PlayStation 3. 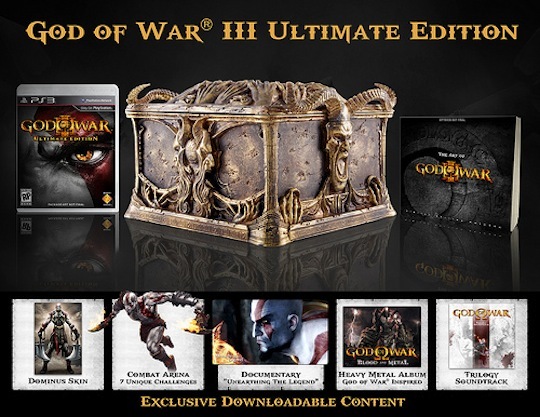 Here is the Pandora's Box that you will receive with the Ultimate Edition.